What exaclty is a Facial? Wrinkles come from the loss of elasticity of the skin. This can be a result of age, poor sleep habits and other factors. Collagen however, encourages elasticity. Facials, depending on the products, can provide the nutrients your skin needs to create healthy new cells and improve collagen levels. The ultra violet rays from the sun can cause harm to your skin leading to dry rough skin, sunburns and in most serious cases, skin cancer. Facials can provide your skin the anti-oxidants and vitamins to keep your skin smooth, well hydrated and beautiful. Skin pigmentation occurs when melanin is overproduced in certain spots on the skin and usually caused by excessive exposure to the sun, hormonal changes and skin damage. Facials cleanse your skin, can provide Vitamin C and the anti-oxidant properties to protect your skin from further pigmentation. To start of, the first cleanse we will use the Pa‘akai Cleansing Cream. Which is a naturally scented daily cleanser that helps to even skin tone, tighten pores and leaves skin completely refreshed. Blended with Hawaiian salt, aloalo (hibiscus) and limu (seaweed extract), this creamy Hawaiian infusion deep cleans without stripping or drying the skin. Feel the gentle care for your face as we slowly and gently remove cleanser by doing compressions on forehead, chin and cheeks with a warm towel. Thus, giving you the feeling of full relaxation as we continue with the skin care treatment. Re-application of Pa'akai Cleansing Cream with two spritzes of Hawaiian Beauty Water. Extraction is a delicate procedure that must be done hygienically and carefully. Our licensed Aestheticians analyze your skin and proceed to safely extract any impurities for clear pores. In result of consistent care, your skin will breathe better, look healthier and suffer fewer breakouts. This is the exfoliation, tone and prep stage. We use The Hawaiian Beauty Water. It is a liquid exfoliant for all skin types. The powerful blend of aloalo, coconut water, Hawaiian sugarcane and papaya enzymes, remove dead skin, tighten pores and increase elasticity for a luminous complexion. Depending on your skin type, this our “glow potion” is intended to be used 3-5 times per week and is a wonderful skin prep before makeup applications. We apply the Honua Pro Mask at forehead and finish throughout facial skin. We then Lomi (massage) your scalp, hands and arms while mask sits for 10 min. This helps to detox and reduces fluid retention. By flushing out all these toxins we help promote circulation, which leaves your skin glowing, vibrant and feeling youthful. We perform the "Warm Towel Ritual" to remove mask. Relax as we finish the treatment with a massage using ALOHA Youth Serum and Olena Oil. During this stage we have completed the Aloha Basic Facial. Remember, getting Facial Skincare Treatments on a regular basis is the KEY to achieving a youthful glow and maintaining a complexion full of radiance with healthy skin. A powerful botanical that is rich in anti-fungal, antiseptic, antioxidant and antibacterial properties. 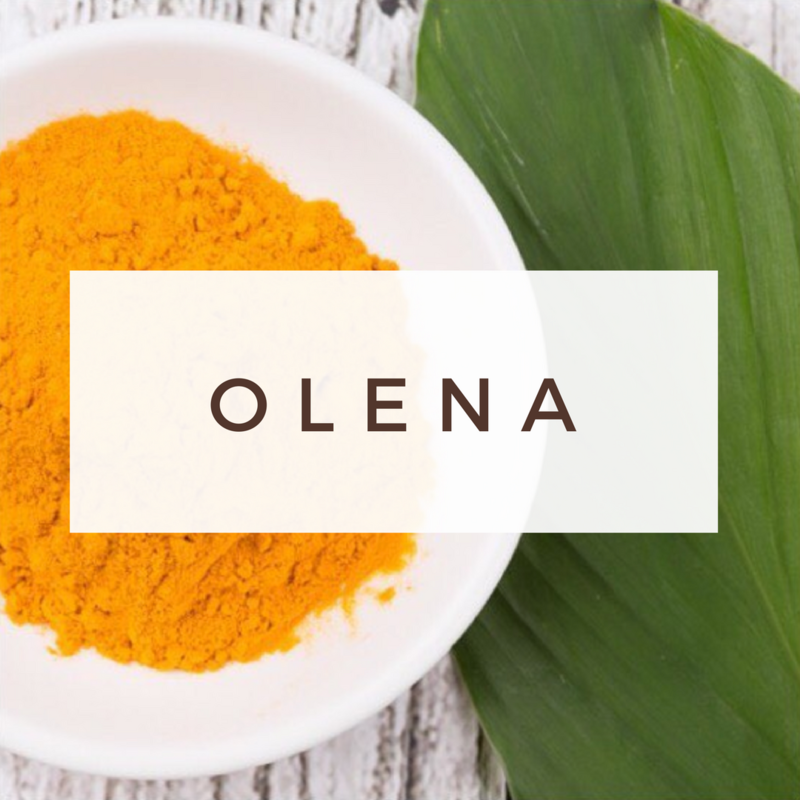 Olena health benefits help reduce inflammation, destroys cancer cells and protects against radiation. Contains cooling properties and anti-oxidants that help speed up skin cell reproduction. 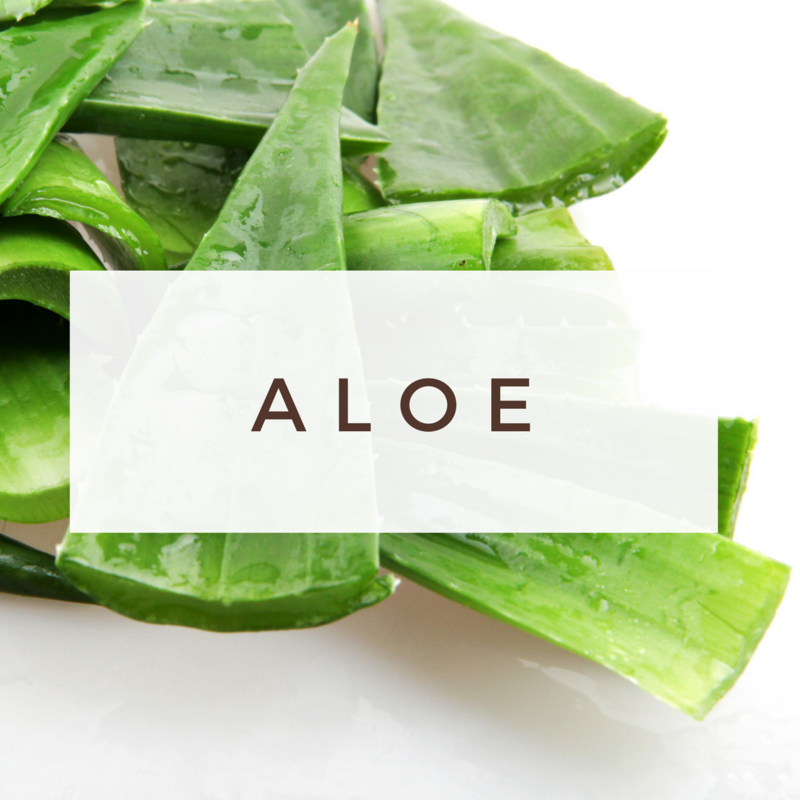 Aloe contains antiseptic properties to help heal sunburns and other wounds. It is rich in Vitamin C, which in turn hydrates and acts as a protective layer. Also worth mentioning, it just feels pleasantly refreshing on the skin. Sometimes considered as the "botox plant". Because it contains natural acids that help purify the skin. This botanical's power combats the aging process by firming and lifting your skin and breaks down enzymes elastase. Which in result helps your skin increase its elasticity. 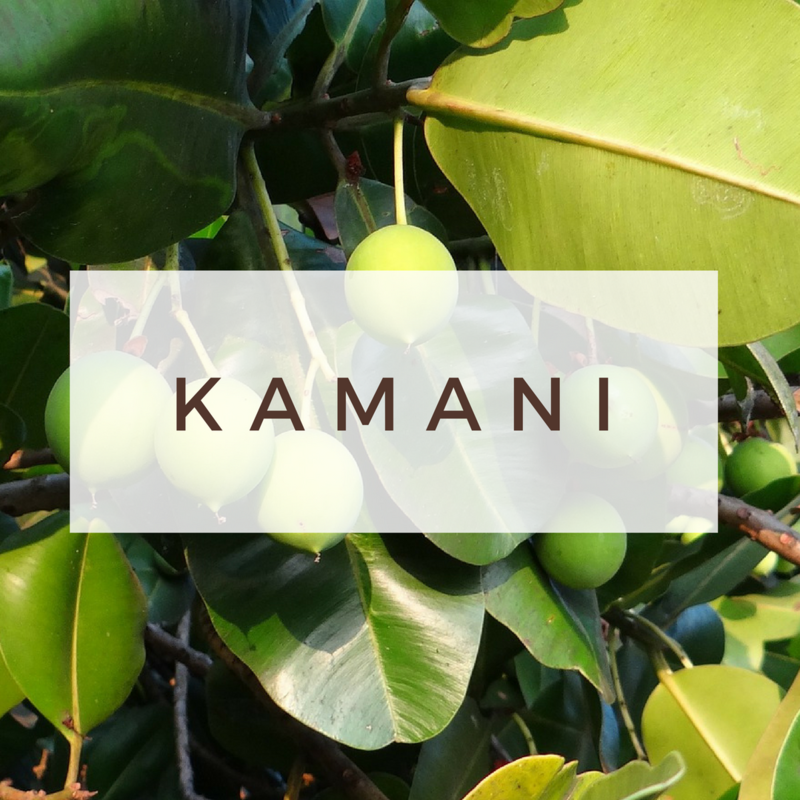 Kamani has significant healing properties because of its ability to produce new skin tissue and accelerate the growth of healthy skin. All in direct result of its natural anti-inflammatory, anti-neuralgic, antibiotic and antioxidant properties. 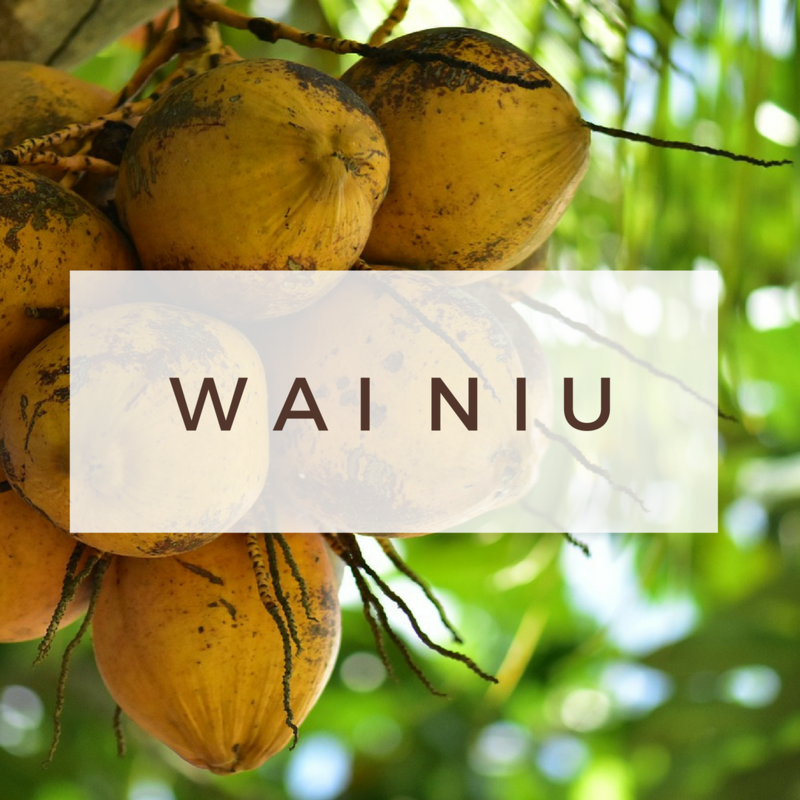 Wai Niu (coconut water) is an excellent source of Vitamin C and perfect for sensitive skin. It acts as a natural cleanser and toner to your skin making your skin feel firm, balanced, refreshed and smooth. Provides and abundant of antioxidants and micro nutrients your skin needs to create healthy new cells. 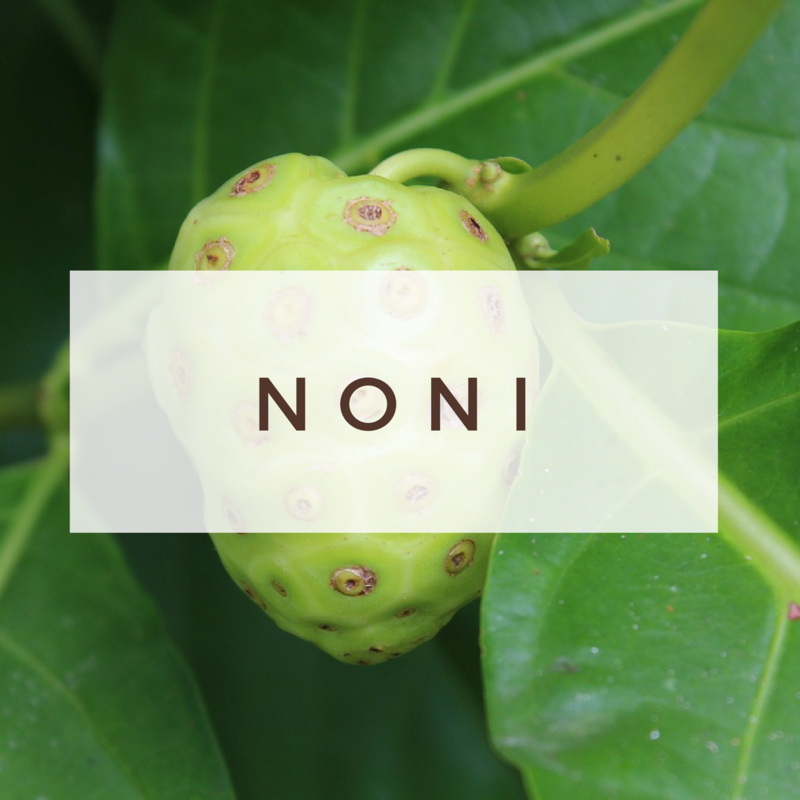 Noni super powers help fight sun damage, aging skin, dead skin cells and improves collagen levels. 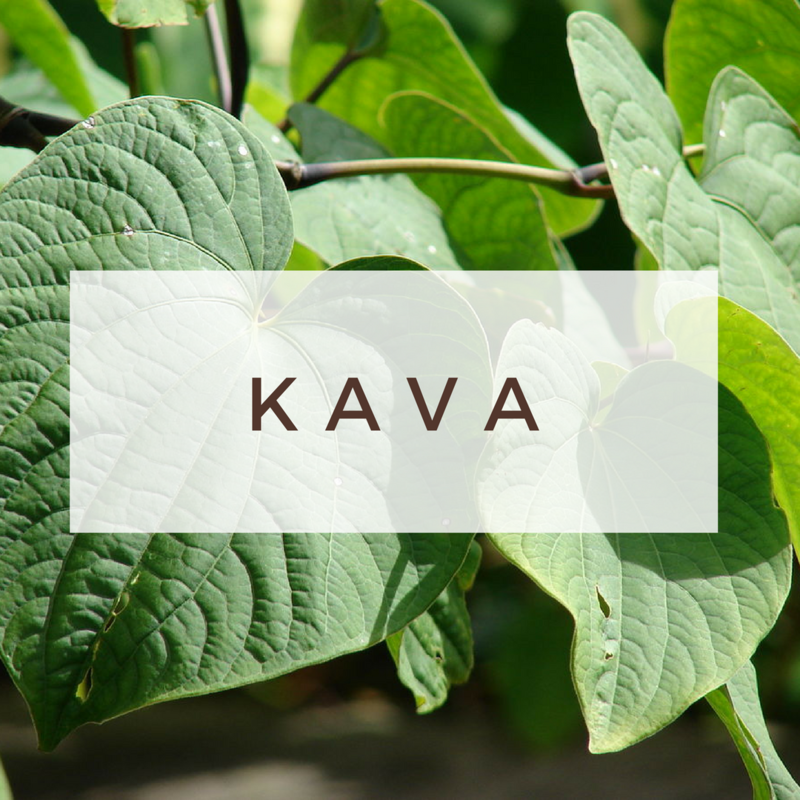 Kava helps in maintaining the youthfulness of the skin by preserving and maintaining collagen and prevents the occurrence of wrinkles, sagging skin and dullness in complexion. Usually used in cosmetics to treat acne and burns. Papaya removes dead cells and purifies the skin. 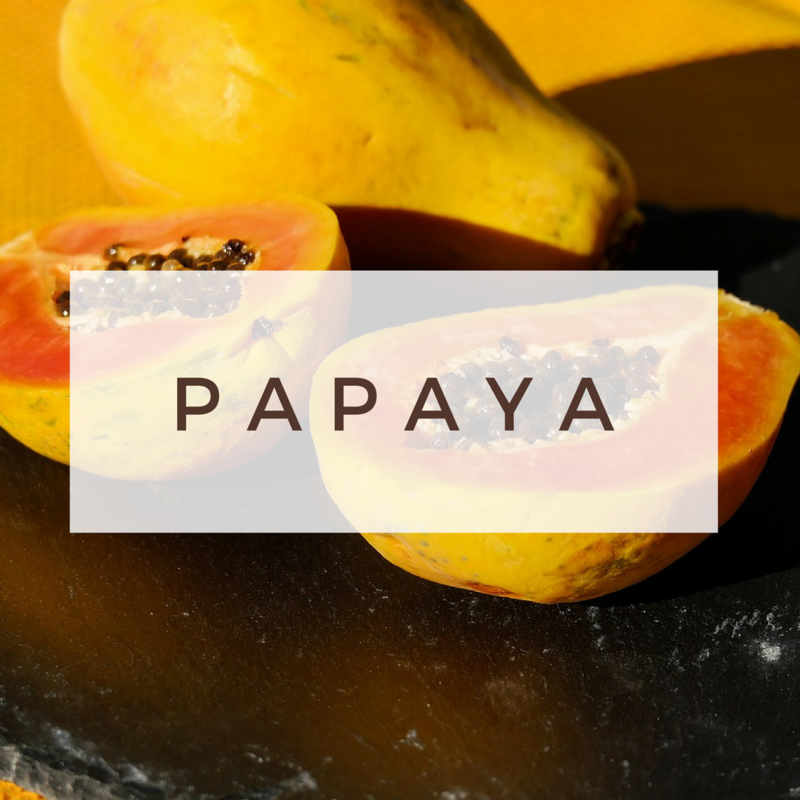 The beneficial properties and the healing enzymes present in papaya help treat sunburn and irritated skin. 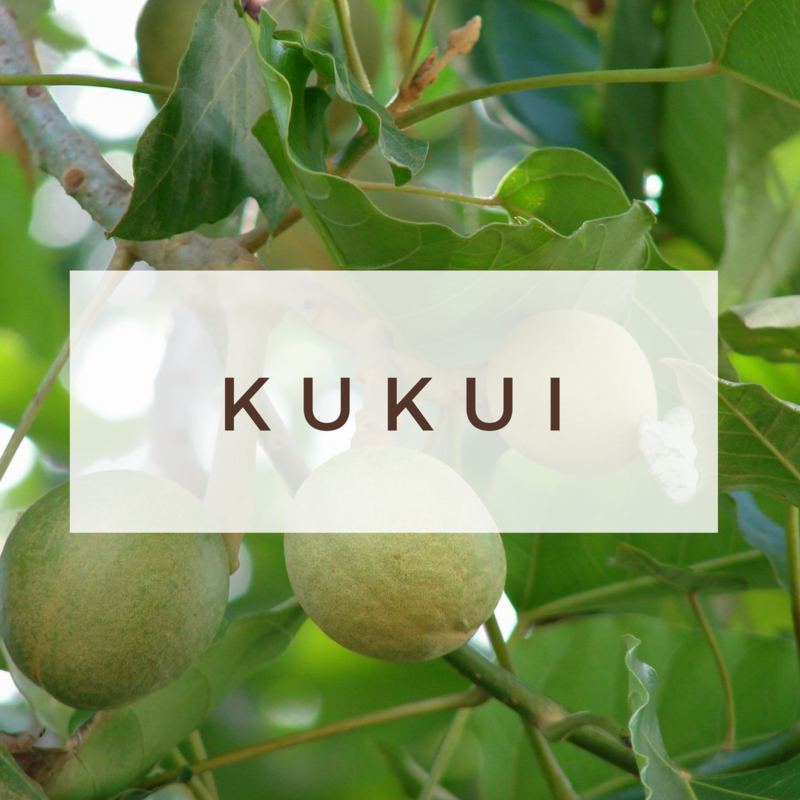 Kukui nut oil is used to moisturize and protect the skin from sun and other environmental elements. It is also used for minor skin irritations, wounds, and burns. 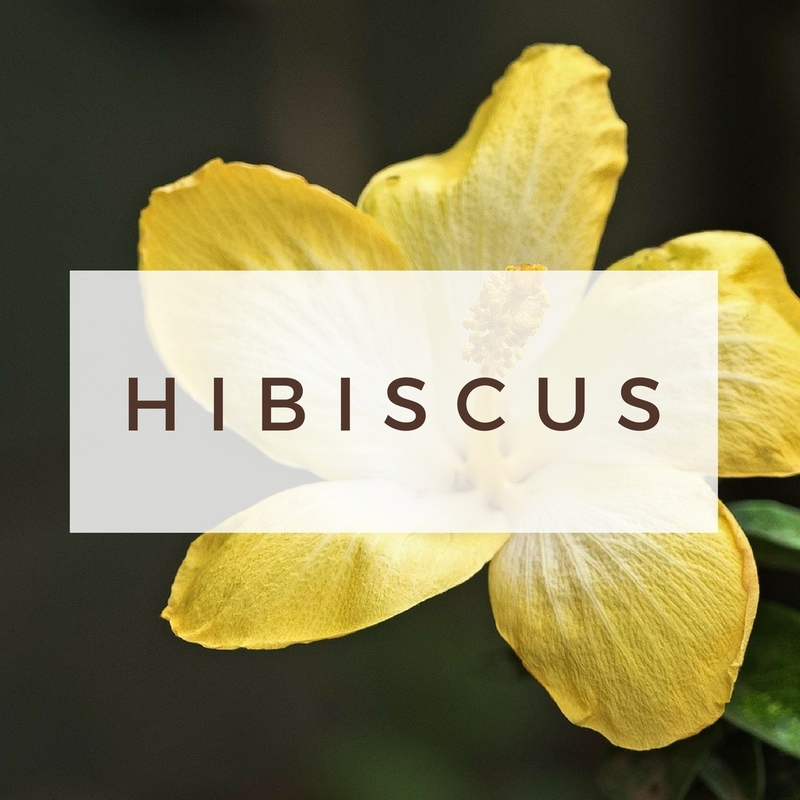 It penetrates the skin easily and leaves the skin feeling silky and smooth.This oil contains vitamins A, C, and E, which are antioxidants known to protect the skin. Are you ready to care for your skin? Schedule the Aloha Basic Facial Today!